Understanding our priorities when facing our nutrition needs no matter our goals. Once you have a clear picture of what takes priority then you can make informed decisions on how to approach your personal nutrition. *Calorie show the most importance because this is the overall amount of food you take in. Ultimately we look at energy balance which compares the amount of calories you burn to the amount of calories you take in. *Micronutrients/Fiber are very important as these are the vitamins and minerals as well as the fiber contained in your food. The higher quality food you eat the more micronutrients they will contain. The more fiber you and just the better your digestive system will function as well as increasing your metabolism. *Nutrient timing will set specific amount times you eat per day as well as specific types of macronutrients. This helps in performance as well as recovery during workouts and This helps in performance as well as recovery during workouts and assists in additional fat loss. 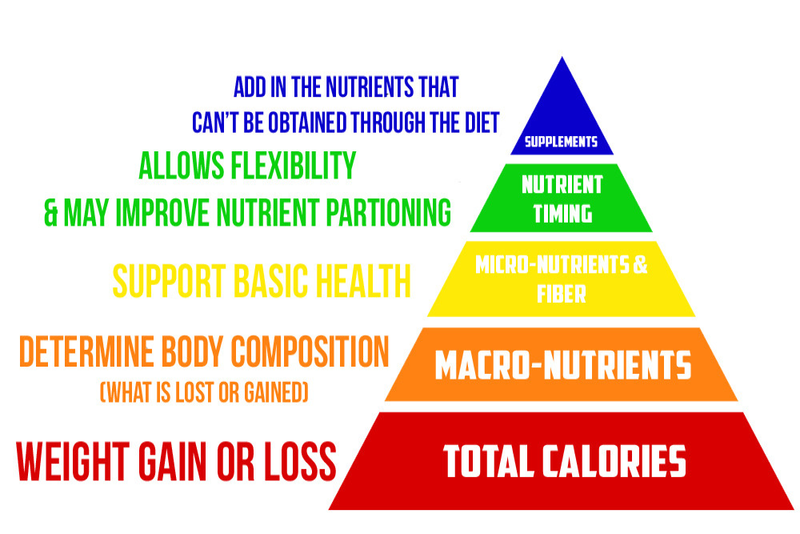 *Supplements are at the top of the pyramid let's say they should be the last piece you look at so you can obtain nutrients that are not found in your foods or they’re are not high enough quantities of them in the food you're eating. Now that we have given you the basics on how you should focus your efforts when it comes to nutrition start taking a look at the total amount of calories you're eating and then where those calories are coming from. As always we would love to help you, please contact us with any questions. Magnesium, Why do you need it? Cup of Joe burns fat! Caffeine has made its way to most commercial fat burning supplements, for good reason. It is one of the few substances that is known to help mobilize fats from the fat tissues and increase metabolism. BoxTribe is a company that specializes in providing software and consulting services for the functional fitness industry. We were established in 2013 in the heart of Central Florida. Our management team and engineers have over 20 plus years in project management and in software procurement. We have a healthy toolbox of tools and guidelines that can help execute a very successful event. All services provided are built based on a solid foundation of real competition experiences from an athletes as well as a spectators point of view. © ©2014 BoxTribe. All Rights Reserved.